It’s fair to say that we tend to think of loan companies in a less-than-positive light. 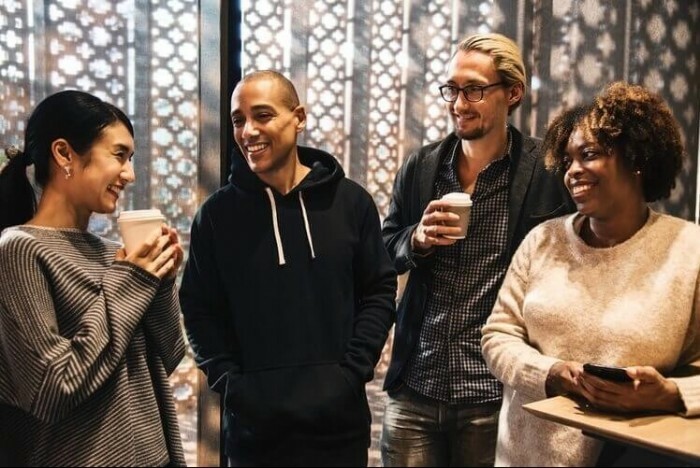 For international students, funding can often be the one thing standing between them studying their dream MBA program, and loans companies know this, either charging enormous interest rates or only giving loans to students who have a good credit rating. Since 2007, alternative student loans provider, Prodigy Finance, has taken a different approach. Prodigy Finance was started by South African student Cameron Stevens, who encountered similar problems when trying to fund his MBA at INSEAD. He realized that many other students had had the same experience as him, and decided something had to be done to open student financing to all students. Halley Bennett, who works as a product marketing manager at the company, affirms this philosophy. “I’d confidently say that there isn’t a single person at Prodigy Finance who doesn’t care about the personal impact of the work we do,” she explains. Ultimately, it is the ability of Prodigy Finance to fund loans for such a diverse range of students that makes them unique among loan providers. Since 2007, Prodigy has supported applicants from more than 130 different countries, totaling over 13,900 students. To open access to funding, Prodigy Finance has developed an innovative model which does not rely on credit scores. Instead, the company bases their loan decisions on variables such as academic ability and future earning prospect, and have removed the need for a loan co-signer, aiming to get as many students into graduate education as possible. Indeed, figures released last year in Prodigy Finance's Impact Report tell a compelling story—59% of students who have received a loan from Prodigy Finance since the company started are the first people in their family generation to attend a graduate school. And it’s not only the students who are benefiting from graduate education. “We’ve seen that particularly with emerging economies, students study abroad and within three-to-five years tend to return home, working to contribute to the future economic and social development of their communities,” explains Hana. For students from developing countries in places such as Asia or Africa, the experience of going to business school can even “have a profound effect on the development of these regions,” Hana adds. Cara Grobler, capital markets associate at Prodigy Finance, agrees. “Emerging parts of the world often don’t have the same optionality or level of affordability, yet there is no difference in the student’s ability,” she says. "Global and equal access to funding makes Prodigy Finance unique." While Prodigy began as a way to help other students like Cameron who were pursuing MBAs outside of their home countries, the service has grown to include other graduate degrees such as engineering, law, public policy, and heath sciences—and the company aims to include more subjects in the future. In an effort to broaden their service, the company is also exploring ways in which new technology such as blockchain could make it even easier for students to get funding for their chosen graduate degrees. Putting aside modern technology, all it really comes down to, for Halley, is getting as many students to their dream degree as possible, regardless of geographical or financial constraints. “I’ve never seen someone’s vision for their future not be changed in some fundamental way by going through an intensive education program, surrounded by a diverse student body,” she adds. This article has been sponsored by Prodigy Finance. What Is The Biggest Mistake I Can Make In My MBA Application? Bain, BCG & McKinsey: What Do The Big Three Consulting Firms Want From Their MBA Hires? How Do I Write An Effective MBA Application?